Many of us have grown tired of CGI effects in movies. So often they look fake, they take our minds away from the story, they become annoying. Occasionally, though, they become real magic. These times we may not even recognise them as special effects! Here, a great video from watchmojo.com that will virtually create an impression on you. 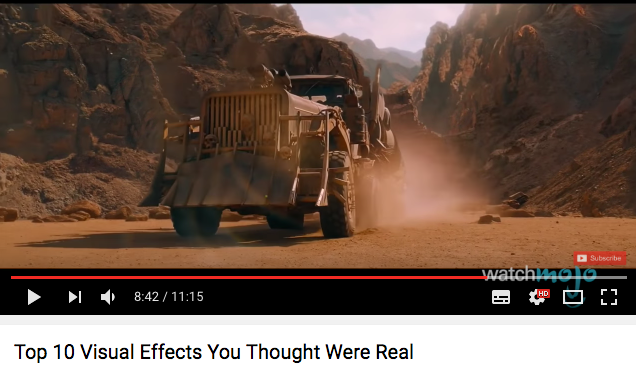 This entry was posted in FILMMAKING, LINKS on filmmaking and tagged CGI, SFX, Special Effects, watchmojo.com. Bookmark the permalink.